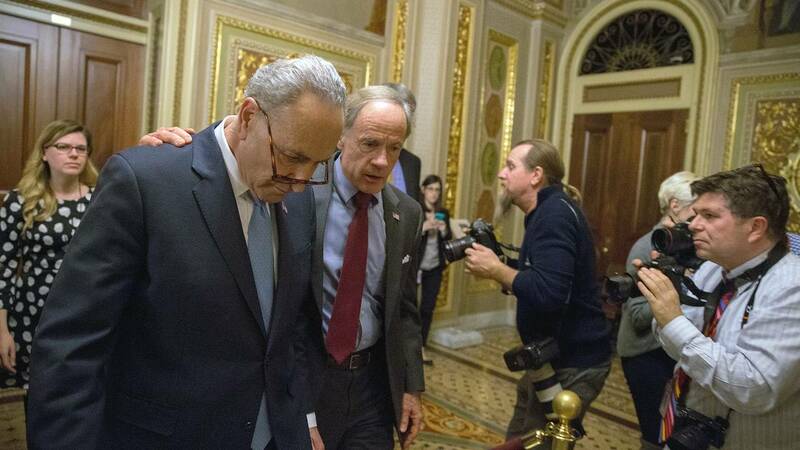 Senate Minority Leader Chuck Schumer (D-NY) and Senator Tom Carper (D-DE) walk out of a Democratic Caucus meeting at the US Capitol on January 19, 2018 in Washington, DC. WASHINGTON (CNN) - Legislation to prevent the government from shutting down failed Friday night in the Senate ahead of the midnight deadline. The total was 50-49, but 60 votes were needed for passage.